Sony forecasts 6.5 million smartphone sales for a full year - is this rock bottom? The final calendar quarter of 2018 was a tough period for smartphone vendors in general and major companies like Apple, Samsung, and LG in particular. Sony’s mobile business didn’t do very well between October and December either, but luckily for the Japan-based tech and entertainment giant, several of its other divisions were profitable enough to offset the Xperia family’s latest big losses. While overall sales and operating revenue were down for Sony’s third quarter of the 2018 fiscal year compared to the October - December 2017 timeframe, operating income (aka profit) surged from 350.8 to 377 billion yen ($3.46 billion) year-on-year. The biggest money earners were the music, gaming, and home entertainment departments of the multinational conglomerate corporation, while the mobile communications (MC) division was the only one that generated less than it spent during the holiday season. Quarterly smartphone sales declined a heartbreaking 37 percent or so compared to 2017’s fourth calendar quarter, from 217.5 to 137.2 billion yen ($1.2 billion), yielding a substantial loss of 15.5 billion yen ($142 million) after generating 15.8 billion yen in profit the year before. Looking ahead, the company really doesn’t have many reasons for optimism, expecting full-year smartphone shipments at a lower level than previously forecasted. We’re talking a measly 6.5 million units between April 2018 and March 2019, down from an October projection of 7 million and a fiscal year 2017 total of 13.5 million. Exactly how bad is that? Let’s just say LG, the world’s seventh-biggest smartphone vendor right now, managed to ship 9.5 million units in Q4 2018 alone. And that’s hardly a success story in today's mobile industry. 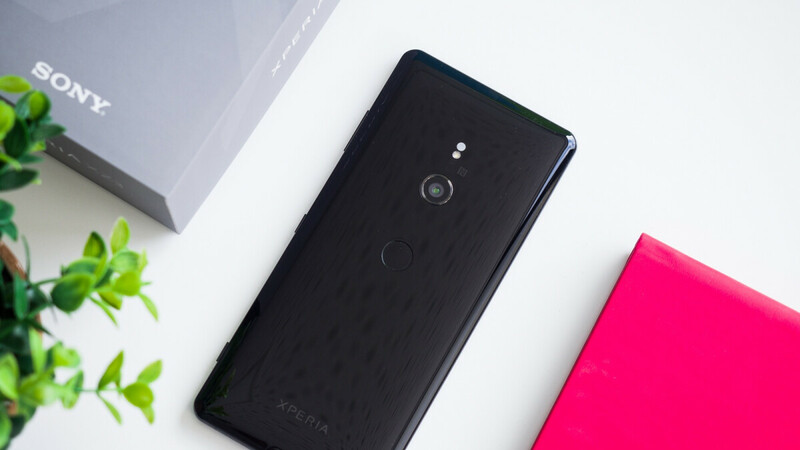 But maybe 5G connectivity and the impending Xperia XZ4 will help Sony Mobile finally turn things around, even though the cancelation of the XZ4 Compact is likely not the best way to start mounting a comeback. Sony dropped their presence almost every where in Canada. You can't even find a place that sells them. The only place that carries Sony smartphones in Canada is Bell, and Virgin. But even then they only carry a couple. If you want the top of the line Sony, you can't get it in Canada. No presence, no sale. It's that easy. Sony needs to try putting in a pop up shop in a mall or two, at least. If it wasn't for PA I wouldn't know Sony still made phones. Recent sony phones are liked only by the die-hard sony fans. Not one sony phone impressed me since z3 compact from 2014.
hear hear. I had it and it was great, looking fwd to a new compact flagship. Actually Sony phones are great for Android die-hard fans, because they are the best with nearly stock Android. Pixel phones are hardly available everywhere and they have their fair share of bugs and defects. The other major stock Android manufacturer is Nokia which is not as good as Sony (I mean blueish screens, fewer audio enhancements, build quality). Considering sales charts the issue here is that most people don't give a damn about clean Android. But I don't think that Sony phones are only for die-hard Sony fans. They are pretty accomplished phones. Sony phones cost too much and are too tall, thick, and heavy. Not a huge surprise they aren't selling. Sony flagship phones in my region are second cheapest after OnePlus and way cheaper than Samsung and Huawei. Tall, thick and heavy is very relative, because Nokias and older iPhones are equally bezelicious but people don't seem to be so bothered. There are many factors and Sony is better in some things and worse in some others. I think their biggest problem is their inability to follow latest trends because of not being able to allocate more funds to development. Yeah Sony going the way of dodo.. Even i don't contemplate to buy Sony for my next device. The way to play now is to be completely open, no restriction in how a device performs. The problem now is, Sony camera is half assed and locked to its function. when Google Camera is getting ported, nobody wants Sony anymore. But let's hope XZ4 can turn the situation. I hate to say it, but to stand out they need to come up with a gimmick or a fresh and unusual and innovative design. They need to be noticed. Most folks just don't even know they exist in the smartphone game. Sony need to kill the Xperia brand. Their biggest hardware brand is PlayStation. They need to go all out and create a gaming smartphone device (foldable) and call it simply PlayStation Phone. I know they kind of dabbled with the PlayStation Android store a while ago, but if they made a smartphone that had proper controls (pop-out) and a great Bravia foldable screen - along with WalkmanTM branded front speakers then I could see that selling. Certainly would sell more than 6.5M. They could offer PlayStation exclusive games on it too and maybe even offer a subscription service for running older emulated games. It could also replace the Vita which they killed off this year. Come on Sony, what are you doing? They already tried that, it was called the Xperia Play from about 2011 or so. Anybody thinking this is going to push Sony out of the market doesn't understand Sony. Their CEO explicitly said he doesn't care and they're staying in phones no matter how low their sales go, just to keep a hand in there so they've got a shot next time there's a systemic change. I didn't know they even sold phones any more. All I've seen for years is a nice lineup of bezels with smartphones baked in. Tell that to the millions that still buy iPhones 8. I don't see them complaining much about bezels. I think my XZ3 has a lot less bezel than an iPhone 8 as well as any Nokia and Pixel. It's all a matter of lack of brand loyalty, nothing more. Otherwise there isn't much wrong with Sony phones. They are still your best alternative to Pixel line if you care about clean Android. I love the design of the XZ4, I'm just worried it'll be too much bezel for a 2019 phone to really be successful. I'm honestly more interested in a minimal bezel, no notch phone and this just isn't it. The compact series got good reviews but in terms of sale it did not do well. So abandoning it is actually a good move. I'm happy that the XZ4 stayed true to sonys design philosophy. The 21:9 aspect ratio got me excited. Seriously Sony, change your language design or whatever you call those bezels with a screen you call a phone. We will see how it goes. I think Sony Xperia XZ3 was a nice phone. And the rumours of the 2019 models looks promising. But they must step up in the game with carriers and distributions of course. I doubt Sony would be able to achieve that goal. It's still too much. Maybe 6 thousand is more realistic. Sad. I like Sony`s phones and design (however I never had a Sony phone). It seems that Sony is going the same way as HTC, MOTOROLA, and other "old brands", and simply can not withstand the price pressure from China`s "cheper but good" phones from one side, and the advert and salespower of Apple, Sammy from another. I predict that HTC, SONY, will be followed by LG, just losing the market shares and losing the money, until will be sold or something... Also the fate of Blackberry and NOKIA is still unclear... The saddest part of this is, that the buyers are left with fewer choices. Such producers as SONY offered us more choice on brand with quality and features.